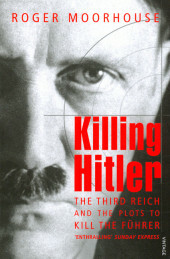 The first comprehensive study of the various assassination attempts on Hitler - and a history of the Third Reich from an illuminating new angle.Most people have heard of the Stauffenberg Plot but it is not widely known that this was only one of a long series of attempts on the life of Adolf Hitler. The Germans, Soviets, Poles and British all made plans to kill the Fuhrer. Lone gunmen, disaffected German officers and the Polish Underground, the Soviet NKVD and the British Special Operations Executive were all involved. Their methods varied from bombing, poisoning or using a sniper, to infiltrating the SS, or even sending Rudolf Hess back to Germany under hypnosis. Many of the plans did not make it beyond the drawing board, some were carried out. All of them failed.Alongside the dramatic and largely unknown stories of Hitler's numerous assassins, this book presents a fascinating investigation of a number of broader issues, such as the complex motives of the German Resistance, the curious squeamishness of the British, and the effectiveness of the Nazi security apparatus.Drawing on memoirs and original archival sources in Poland, Germany, Russia and Britain, Killing Hitler offers a unique perspective on the history of the Third Reich. "The story of the attempts to kill Hitler has been told before... but [Moorhouse's] survey can claim originality thanks to the inclusion of plots hatched by non-Germans" David Cesarani Literary ReviewDer Autor Roger Moorhouse, geboren 1968 in Stockport, Cheshire, Studium an der London University, ist Dozent für Neue Deutsche Geschichte an der University of Strathclyde, und regelmäßiger Mitarbeiter des BBC History Magazine. Zudem ist er Mitglied der Royal Society of Arts. Moorhouse lebt mit seiner Frau und zwei Kindern in Buckinghamshire.